There are two types of skin pores (also known as “glands”); 1. sweat glands, which help with thermoregulation (i.e. keeping the body cool 😎), and 2. sebaceous glands, which keep the skin lubricated with oil. When it comes to acne, we’re typically more concerned with #2 as breakouts—whiteheads and blackheads—occur when these pores get clogged. Typically, when we refer to the skin as being “oily” or “dry” it is directly related to the size of their pores. People with “oily” skin tend to have larger pores, while those with smaller pores tend to have skin on the drier side. Pores can also change size and tend to enlarge with age with prolonged sun exposure. And we love our pores! They keep our skin glowing, youthful and protected from the elements. That’s why it’s important to know the answers to these pore-related FAQs to help you keep your skin happy and healthy. 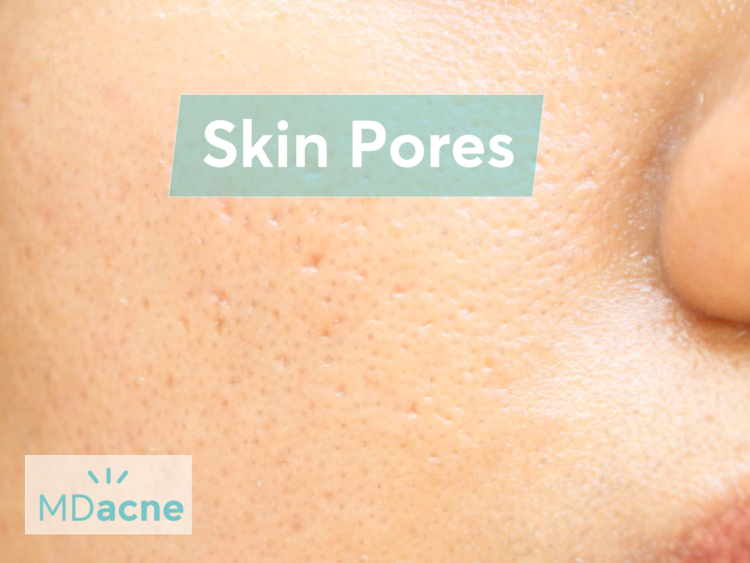 Is it possible to make pores smaller? Unfortunately, it’s not possible to reduce pore size permanently. However, for those who struggle with acne, it is certainly possible—and critically important—to unclog the pores to treat and prevent acne breakouts while also helping to reduce pore size for a short period of time (a few days to weeks). What’s the best way to keep pores clean to prevent acne breakouts? The best way to keep pores clean and prevent “plugs” or “filaments (i.e. blackheads) is with a combination of a medicated cleanser & overnight skin treatment. But which ones? Cleanser: should contain salicylic acid (preferably 2%), which helps to soften and remove pore-clogging debris and overnight skin treatment. Treatment Cream: should contain either salicylic acid or benzoyl peroxide (the two more effective anti-acne medications). This treatment will do it’s work overnight with a mild exfoliating effect. While you can certainly find over the counter products with these ingredients, they are most effective when used in the right quantities for your skin sensitivity and combined with natural booster to help reduce irritation, which is why we believe MDacne products are the best possible formula for effectively cleaning pores and preventing acne (but then again, we’re biased). 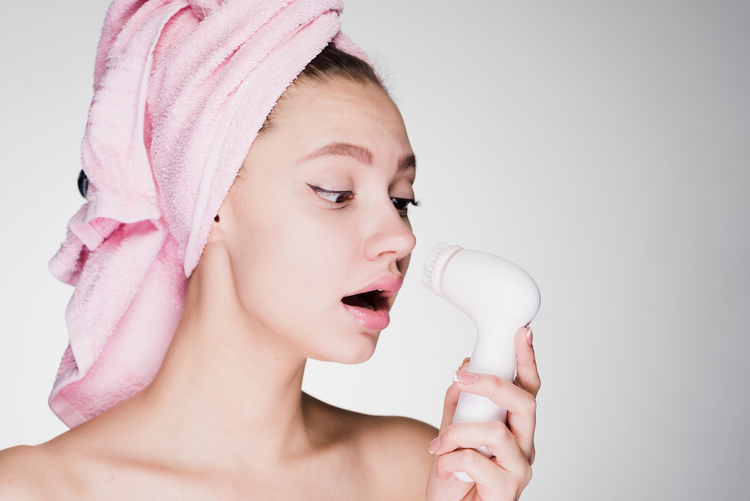 What is the fastest way to unclog pores? While effective cleansing and topical treatment are absolutely necessary for long-term acne prevention, the fastest way to unclog pores is by using blackhead removal strips and produce best results when used together. Look for higher-quality blackhead strips made safe for sensitive skin (i.e. include some type of oil-free moisturizer). 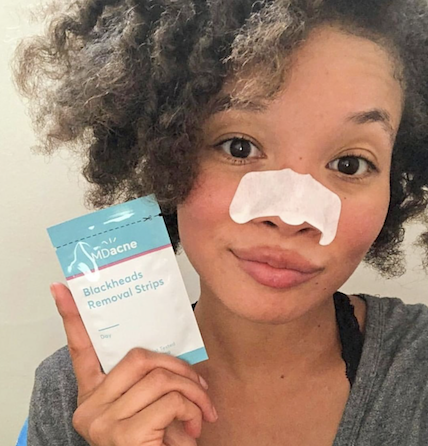 Again, we think MDacne blackheads removal strips are the best, most effective, and least irritating...but do your research! Do toners help reduce pore size? Alcohol-based toners have pretty good PR—they sound and seem like a good idea and can be moderately effective in shrinking the size of pores….for a few hours. Unfortunately, these benefits are typically outweighed by the fact that often, these toners irritate the skin, resulting in damaged skin, which is more susceptible to acne bacteria. Is exfoliating good for cleaning pores? BONUS TIP: makeup, skincare, and hair products that clog pores. Though we don’t have (a lot of) control over the toxins and debris in our environment, we can what we put directly on our skin. Be mindful of your makeup, skincare, and hair products. Make sure you’re always using oil-free products, are cleansing your face regularly (and properly … see above!) and consider reducing the amount of products you use. Have any other questions about your pores? Download the MDacne app and ask a dermatologist on our team. We would be happy to chat with you!